Like other operating systems from Microsoft, Windows 10 runs myriad processes and supporting apps. One of the Windows 10 background processes that often shows up each time you check the Task Manager tool is the CTF Loader. However, the CTF Loader (ctfmon.exe) program is not well known leading to some users mistaking it for malware or bloatware. But Is CTF Loader a virus? And what’s its role? Should you disable it? Stay with me to get the answers to this and more questions about this file. What is the CTF Loader? CTF (Collaborative Translation Framework) Loader is an authentication service that delivers text support for alternative user input applications such as keyboard translation, speech recognition, and handwriting. Besides initializing the Alternative User Text Input Processor (TIP), the CTF platform also activates the Microsoft Office’s Language Bar – a feature that enables you to seamlessly switch between different input languages when loaded. 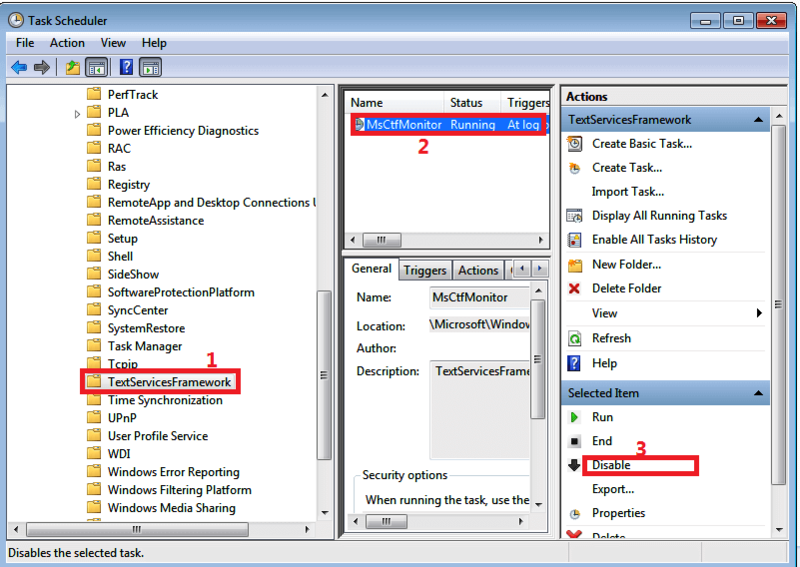 This process is related to the ctfmon.exe file, typically found in C:WindowsSystem32 or C:WindowsSysWOW64. As previously mentioned, the program runs behind the scenes and will usually start immediately once you commence working on an alternate input device(or any other task) that needs it. It may also start up automatically at boot and it may remain running in your system tray until you close MS Office (or whatever app) using it. Is CTF Loader a virus? While it’s true that the service runs on a .exe file, the CTF Loader is a legitimate Windows file and there is no evidence connecting it to any malware or spyware. However, creators of malware apps sometimes give their malware names identical to those of common .exe files as part of camouflaging. 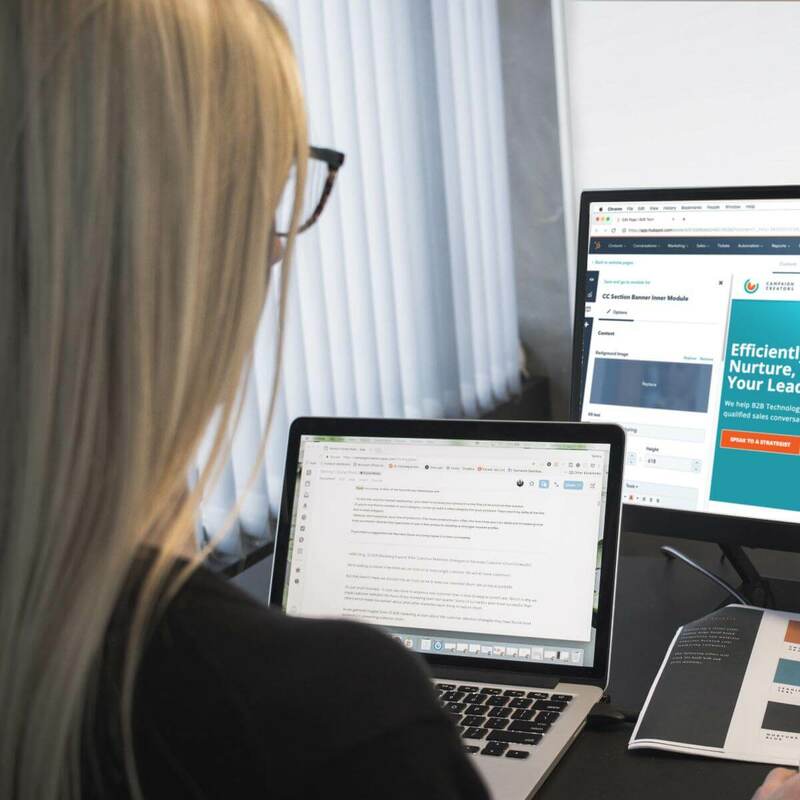 The system software monitors user-related functions including keyboard input, speech recognition, speech-to-text translation, handwriting recognition, and such language-related roles in Microsoft Word. Exe (CTF Loader) crashes: Some have complained that the file itself fails (CTF Loader has encountered a problem…. Sorry for the Inconvenience) in addition to causing other applications to stop. The computer becomes sluggish: CTF Loader has also been blamed for completely slowing down PCs because of high RAM usage. Most problems seemingly arise frequently after a system update, and in some instances, they can significantly affect your performance. This is not entirely unexpected as some Windows update files are known to conflict with the CTF Loader. Another historical cause of CTF Loader issues are errors in inputs/language packs. For example, if you try to change the Windows display language in your machine, you may receive the warning that a language pack isn’t available (depending on the language you are selecting). Finally, there is a possibility of the CTF Loader refusing to work because of hidden malware. You see, in an effort to impair your operating system, an infectious program could target and destroy CTFMON.exe, thus generating various CTF Loader problems. How to fix CTF Loader high memory usage and other issues? We already saw that the application is very useful and not just another memory wasting software. 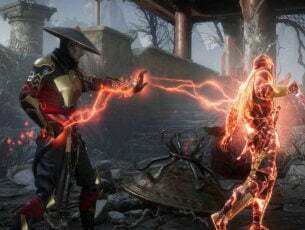 Nevertheless, users affected by a sluggish PC performance may opt to temporarily disable the service in order to improve their performance. 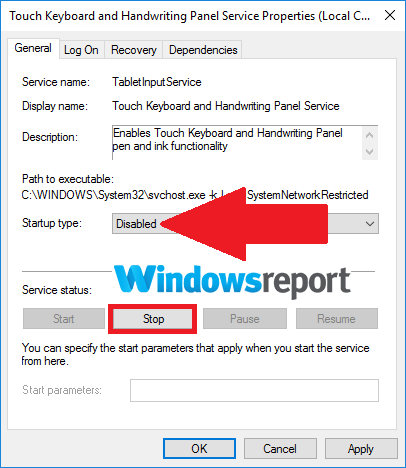 To pause it, you will need to turn off the Touch Keyboard / Handwriting Panel Services. The Run window will open. 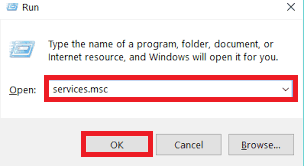 Now type services.msc then click OK. Locate the Touch Keyboard and Handwriting Panel Service and right-click on it. Click on Properties and then choose Disabled. That’s it. The process will henceforth be disabled. Note: In general, we don’t recommend disabling the CTF Loader as it may destabilize certain procedures in Microsoft Office or cause them to malfunction. That’s because shutting down this framework effectively halts the process CTFMon.exe that normally controls all the functions that are dependent on it. If you encounter any problems, just enable this service by following the same steps. 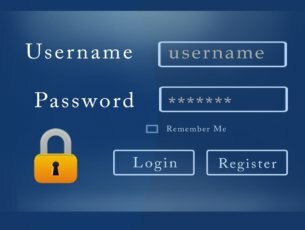 Scanning your computer for Viruses may help get rid of these types of errors, especially if they are brought about by the actions of a disguised worm (or malicious app). 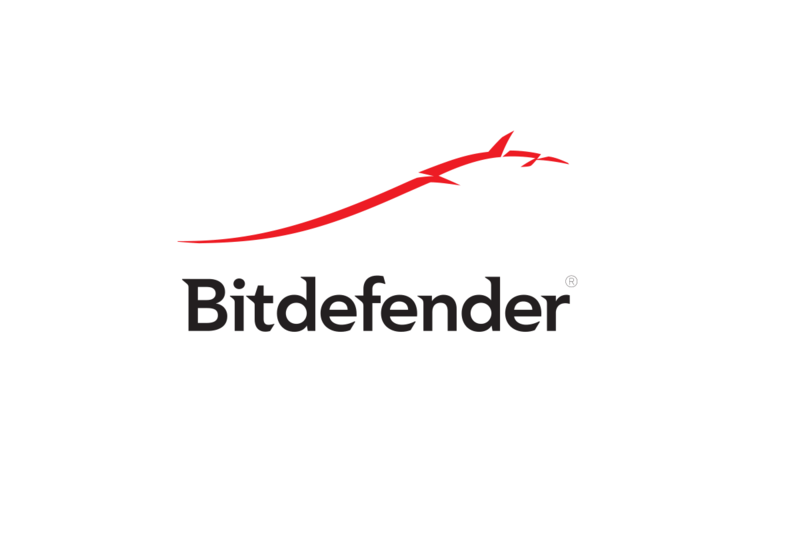 It’s always advisable to use a powerful protection software, for example, Bit Defender antivirus 2019. You can check the official manufacturer’s website for instructions on how to scan your laptop for viruses and the steps to clean the machine from all potential malware. 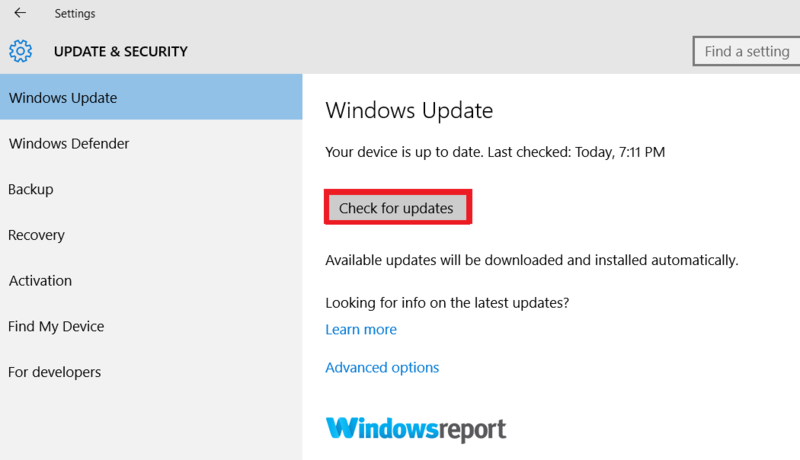 There are instances where a CTF Loader error completely disappears after updating your Windows 10 installation. Click on the Start. Go to the Settings app. Wait for the latest updates to download and install. Remember to restart your PC. 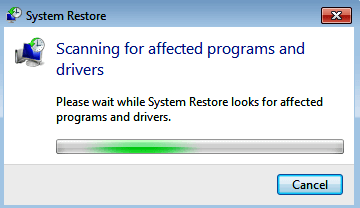 You can isolate the root cause of the loader hitch by performing a System Restore. This will take your PC back to a point where the CTF Loader was working perfectly. 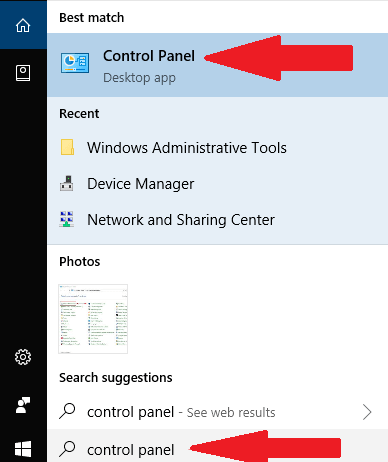 On the taskbar, find the search box and type control panel. A list of results shows up. Select Control Panel. 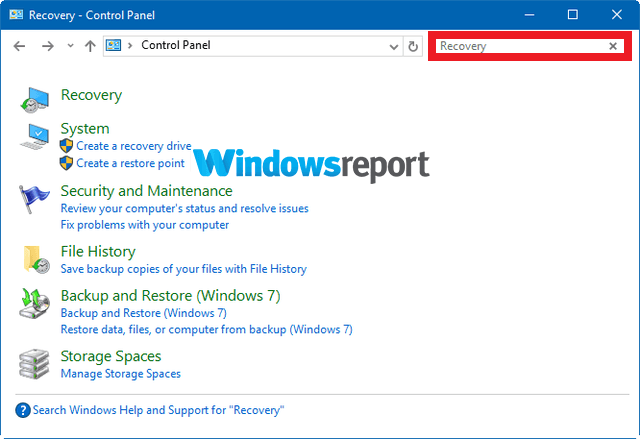 Now type recovery (In the Control Panel ’s search box). 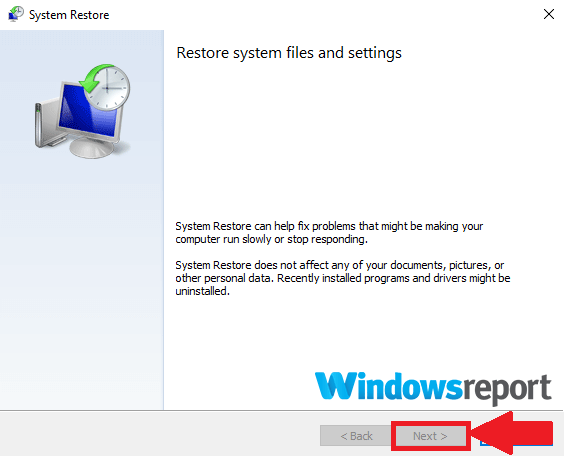 Click Recovery then select Open System Restore. 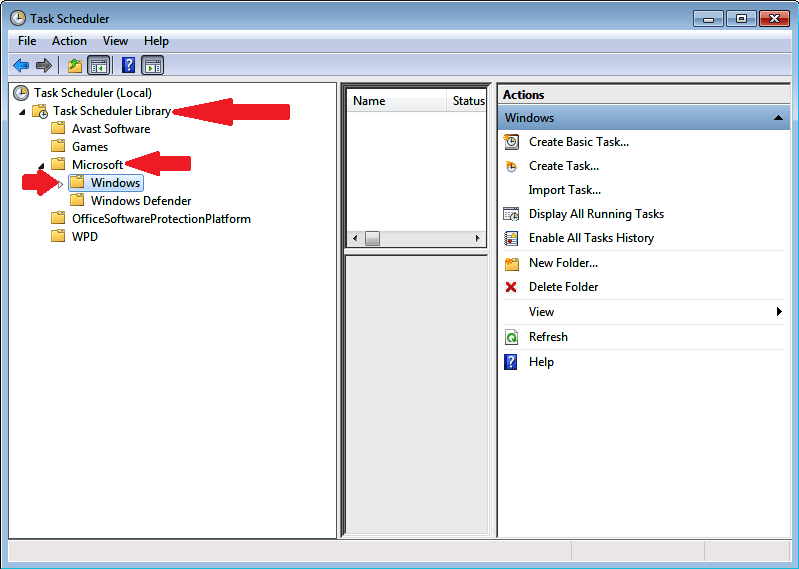 Click Next in the next Restore system files and setting dialog box. 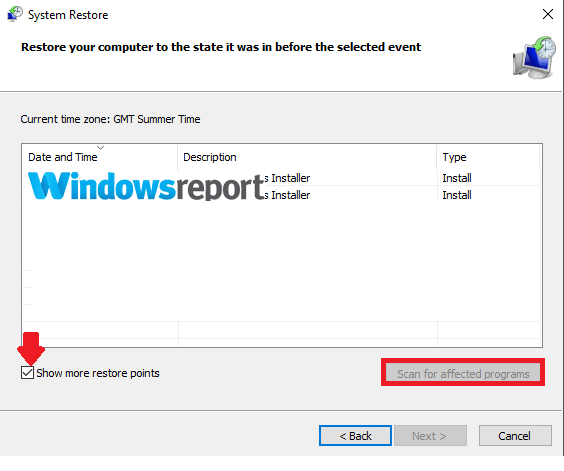 Select the latest restore point that worked or click on the Show more restore points checkbox to access additional restore points. Click Scan for affected programs. Select Close then Next and finally Finish once the process is completed. Perhaps you can consider deleting all the ctfmon.exe files if you’re still facing the problem. Navigate to C:WindowsSysWOW64 (64-bit systems) or C:WindowsSystem32 (32-bit systems). Find all occurrences of the genuine ctfmon.exe files and delete them. Type ctfmon.exe in the next search bar then press Enter. Delete each ctfmon.exe file that comes up. Note: This solution might cause more problems if not used properly, so be sure to create a backup, just in case. Instead of disabling or deleting the loader program, why not schedule the service not to run at login? The task scheduler will come in handy here. The Run window opens. 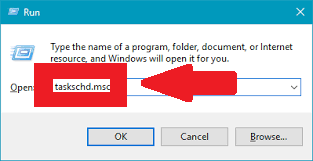 Type taskschd.msc then click OK. The Windows 10 Task Schedule Library starts. Double click on it. Click on Microsoft > Windows. Click on the MSCTFMonitor option then choose Disable.